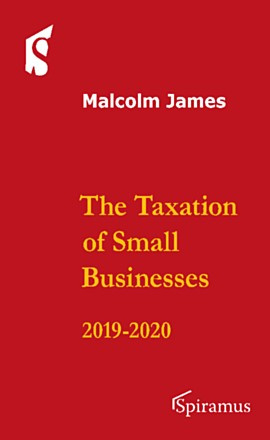 The Taxation of Small Businesses 2019-20 is a practical guide to all aspects of direct taxation of small businesses in one volume. It is ideal for sole practitioners and small partnerships, but will be a handy reference guide for all tax advisers. The book aims to give a clear explanation of the relevant legislation and practical advice on ways of minimising clients’ tax liabilities and warning against common pitfalls. The twelfth edition has been updated to incorporate changes as a result of the Finance Act 2019.